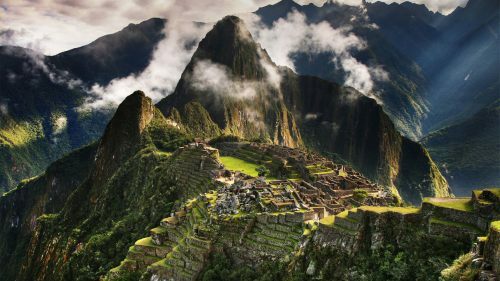 Aeromexico has dropped the price of their June, late August, and September flights from Toronto to Lima, Peru down to $498 CAD roundtrip including taxes. Update 3/22 - Toronto to Lima, Peru flights for $498 CAD roundtrip including taxes have returned today. Below, I've listed the relatively few dates that have decent layovers (3 hours each way). You can also usually find similarly priced flights to Quito, Ecuador (UIO) or Medellin, Colombia (MDE) on the same dates. 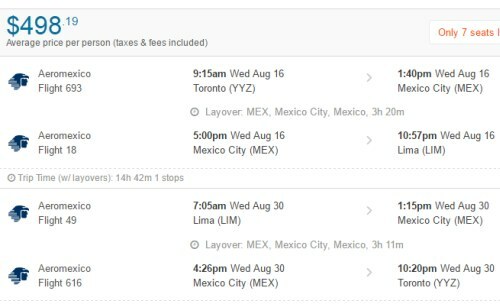 One Response to "Toronto to Lima, Peru - $498 CAD roundtrip including taxes | June, late Aug, Sep"
Hey guys, does anyone know how long this deal will last for? I need to get approval from work but am scared that if I wait a couple weeks, it will be gone !